Fall is finally here in Texas after months of 90-100 degree weather. Sorry, I have been absent from blogging since Mother’s Day. Just moved to a new house and still trying to get my new craft room into working order. 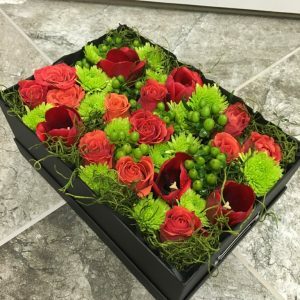 To hold you over until my next flower creation, here’s another of my flowers in a box creation using beautiful Fall colors of oranges, reds and greens. Please check back soon as shop will be reopened for the holidays! 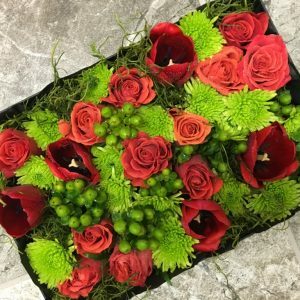 Due to popular demand, I will be creating a tutorial on how to create these wonderful arrangements and not have to spend a fortune.